Walking, floating, flying cities always seem like a good idea, until someone has to live there. 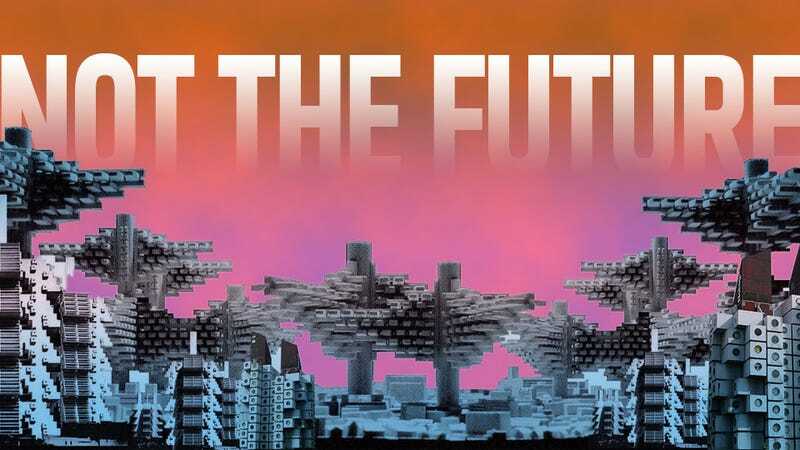 Jalopnik readers know ten amazingly cool-looking future cities that are actually pretty awful. There are so many failed visions of cities, from crazed architects, crazed hippies, crazed urban planners, and crazed megalomaniac dictators that we couldn't nearly fit them all into one list. We tried to focus at least on ideas that thankfully never made it past the prototype stage, but there are tons of miserable failed cities and suburban developments, as well as utopian societies, that we didn't have room to include. Let us know in Kinja below what completely unhinged urban developments got built and are now causing their inhabitants the suffering of architectural visions run amok. Pros: glowing skyways, streamlined cars, and gardens of sheer opulence. Cons: all of the skyways, streamliners, and gardens of sheer opulence are run by poor workers living in the dark ground floors, getting fed alive to monstrous factory machines. Self-contained cities always seem to work out so well (psst —no they don't), so let's have them floating in the sky where long-distance vacations/travel of any kind/escape from the hell of a floating prison city is impossible. Thanks, Bucky Fuller. If you give an architect the freedom to draw whatever the hell he wants in 1929, you end up with something like Hugh Ferriss' 1929 proposal The Metropolis of Tomorrow. All buildings are gigantic skyscrapers, while humans scurry about like ants on wide, car-centric boulevards. But who cares? Apartments on bridges look cool. The 1929 issue of Science Wonder featured this design called "The Cubic City." It proposed replacing all of New York City with a single cubic skyscraper two miles wide and two miles tall. Sure it had spiffy zeppelin moorings and a carrying capacity of eighty million, but the views on the inside apartments were terrible. It was supposed to be a microcosm of all Earth, perfect for conduction groundbreaking scientific research. In the end, it's a big greenhouse. It looks awesome to have cars driving up the sides of buildings, until you realize what it would be like to live in one of those apartments. Imagine living underneath I-80. Since nobody learned from the failure of Utopian societies in the mid to late 1800s like Octagon City, a few crazy post-hippies set up their own utopian eco-society called Arcosanti in the Arizona desert. They're not all dead, which is a good thing, but they haven't really made any impact on the world at large. Hitler and his architect Albert Speer's vision of future Berlin stalled when the engineers figured out that their proposed concrete mega-buildings would be so heavy that they would actually sink into the ground. If someone proposes to you a utopian city built out of lots and lots of concrete, point them to Brasília, the severe, jet-age, relocated capital of Brazil. It looks more like the future in Terry Gilliam's Brazil than in the real-world Brazil. Le Corbusier's Plan Voisin seemed fresh and modern, with people living gigantic, uniform, clean skyscrapers. In actuality, it meant basically bulldozing just about every cultural landmark in Paris and replacing them with public housing.